University Emergency Medical Response (UEMR) strives to create a safer environment for the UT Dallas community by providing faster and more direct emergency medical care for campus students, faculty, staff and visitors. 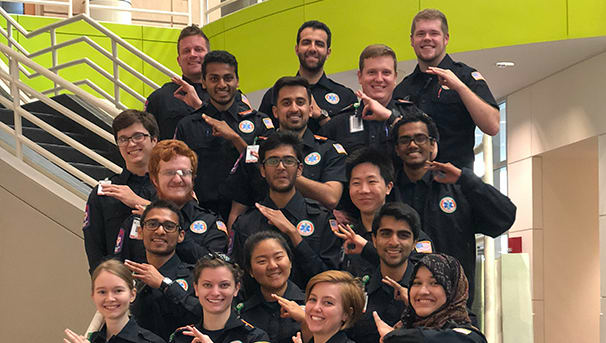 University Emergency Medical Response is an initiative focused on providing quality, campus-centered emergency medical care to the UT Dallas campus. In emergencies, seconds count and UEMR has shortened response times and significantly improved the accessibility of care for members of the UT Dallas community. Since starting our 911 operations last semester, UEMR has responded to over 40 calls on campus. Many of these calls were classified as critical calls, and UEMR’s quick response time had a significant impact on patient outcomes. In order to ensure continuation of the exceptional care for the UT Dallas community, UEMR relies heavily on the generous financial support from donors. Providing quality care to our community requires constant updates to our equipment. 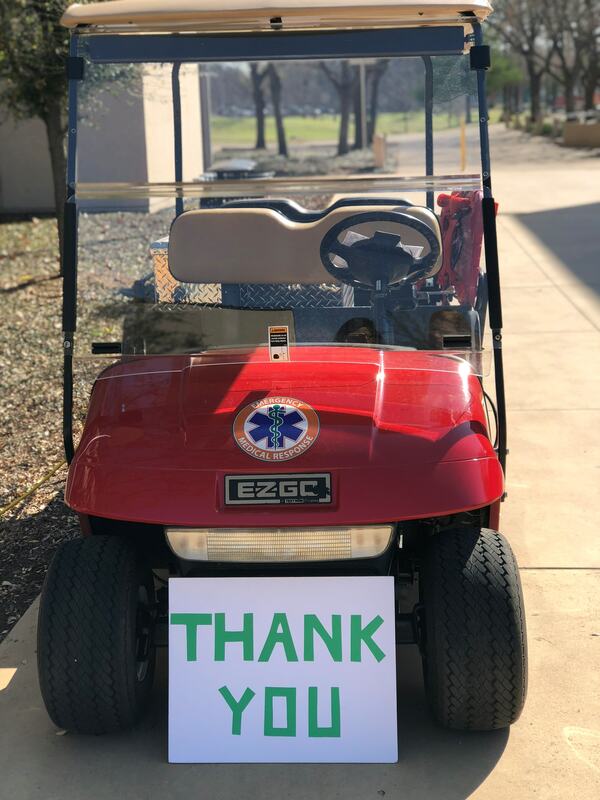 From previous donations, UEMR was able to purchase a new response golf cart, upgraded thermometers, a mass casualty incident kit and a more accessible wheelchair — all items that are critical to both our 911 and standby operations on campus. Starting this fall semester, UEMR will begin 24-hour service, serving the campus 24 hours a day, 5 days a week. Although 24-hour coverage will further increase campus accessibility to EMS-level care, it will also significantly increase our equipment usage and operating costs. Your donations will be used to ensure that our agency has the proper equipment needed to staff 24-hour emergency medical coverage. Please consider donating towards this agency to further help ensure a safer campus. 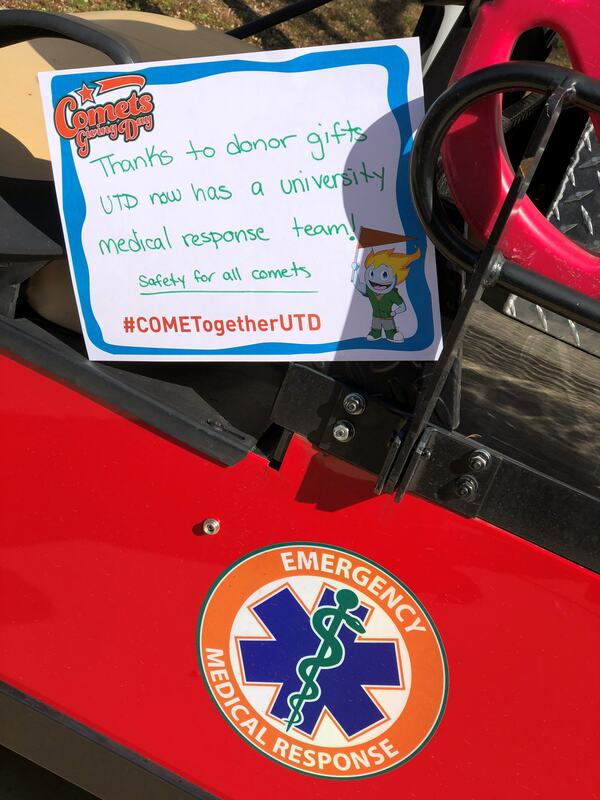 Your donations are greatly appreciated by our 30 UT Dallas student EMTs and the wider campus community. Thank you for considering UEMR as one of the organizations on campus that you help support. We look forward to the further development of both our agency and our EMTs during the 2018-19 academic year.